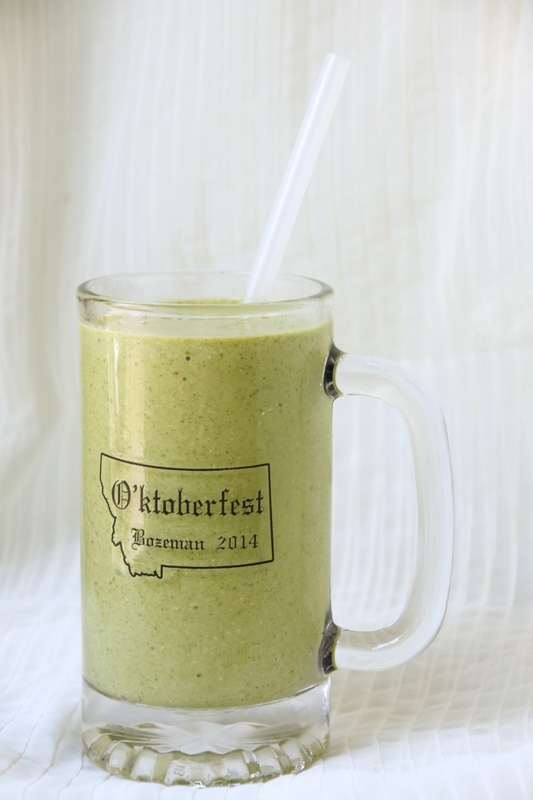 About five years ago I discovered my favorite green smoothie, which I basically lived on during an extremely hot and smokey summer in Helena. I was admittedly liberal with the peanut butter and a bit light on the spinach, but overall it was a decently healthy dinner option for those days I didn’t want to eat anything warmer than ice. Over the years I’ve lightened up my original recipe, opting for coconut or almond milk instead of cow’s and substituting PBFit peanut butter powder instead of the real deal. Peanut butter powder may sound silly, but in baking or smoothies I actually prefer it over the original. The peanut flavor is a bit more concentrated and it really lowers the amount of calories and fat. I’m not a calorie counter by any means, but it makes it much easier to create a snack-sized version while keeping all that wonderful peanut flavor. I’ve also probably doubled the amount of spinach I use, since I’m now inclined to add it to almost anything from smoothies to soup to scrambled eggs, and it’s definitely my preferred salad base. The spinach only vaguely modifies the flavor but gives a big nutrient boost – presuming you don’t mind the crazy green color. I admit it’s a bit off-putting to the uninitiated but I’m so used to it that this smoothie without spinach now looks and tastes strange to me. During the summer and fall I participate in tons of running events, where you have to get up stupid early in the morning in order to make it to the start line or bus pickup on time. My usual race day breakfast (or really any day breakfast) is oatmeal with banana and PBFit, but on the days it’s too hot for that I opt for this smoothie instead. They contain basically the same ingredients, with the smoothie having that extra spinach boost. It goes down much easier when it’s already 75 degrees or more, and takes just as little time to prep in the morning. I like to pre-grind the oatmeal so there aren’t large chunks clogging up my straws, but it’s not strictly necessary if you have a really quality blender. 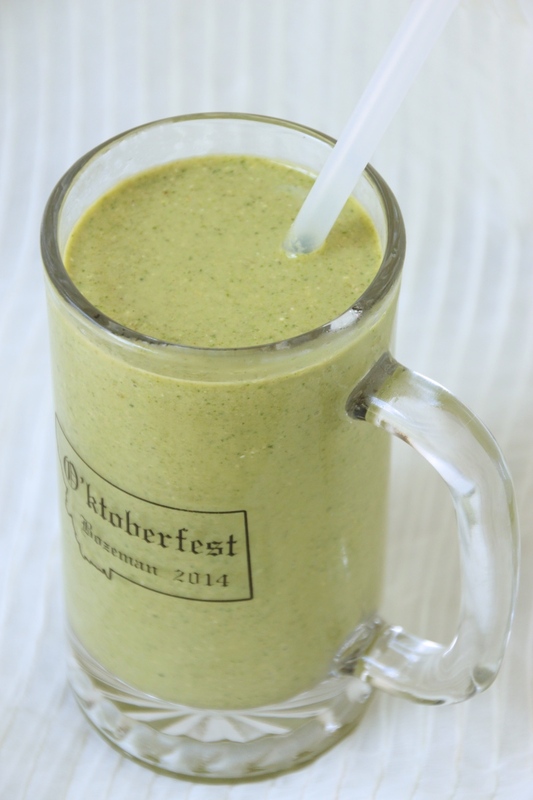 The oatmeal not only adds some calories and makes the smoothie more filling, but I really enjoy the hearty flavor it adds to the palate. 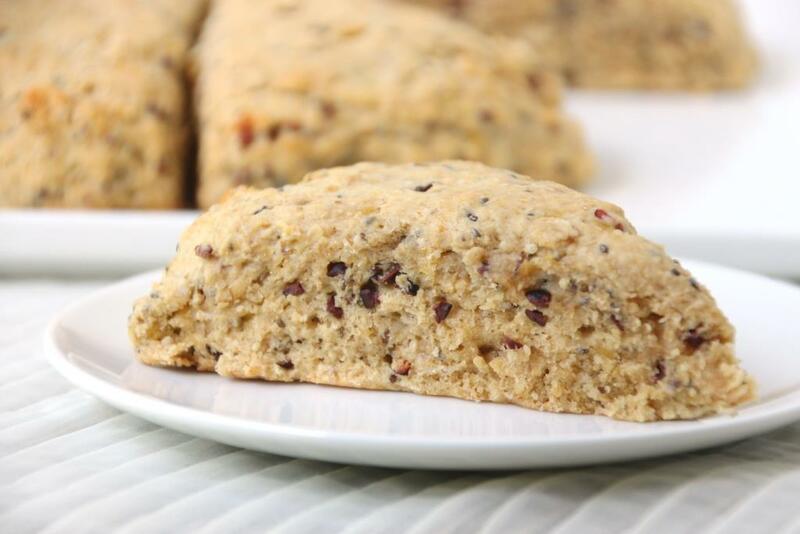 It’s not overwhelming but reminiscent of an oatmeal cookie, and is still pleasant for people who necessarily enjoy oatmeal on its own. 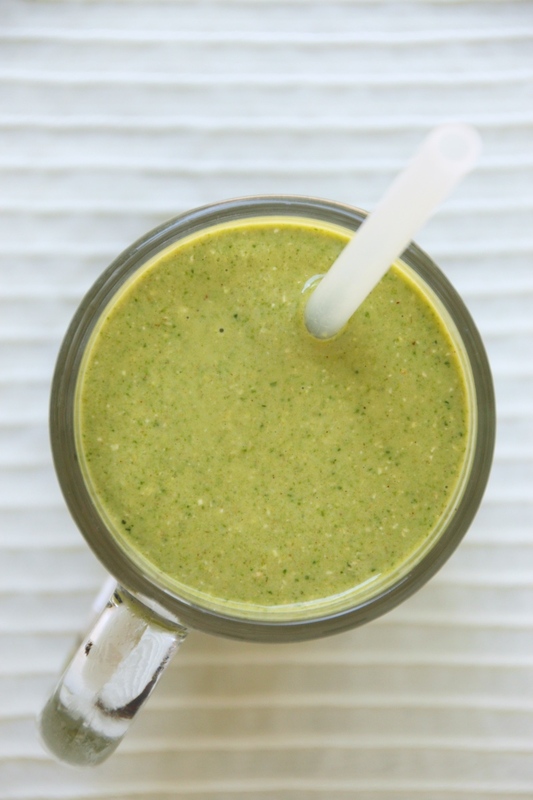 This smoothie tastes like a peanut butter banana milkshake but is a much healthier way to start the day. With the addition of oatmeal it sticks with you for quite a while, making it perfect for both pre-race and post-race. It’s also a pretty legit dinner for those days you’re feeling lazy or in a hurry but still want something on the healthy end of the spectrum, and your boyfriend isn’t around to insist smoothies are not a real dinner. Place oatmeal in blender (I like to use the single-serve size so I don’t accidentally make a gigantic smoothie) and blend until finely ground. Add remaining ingredients and blend until completely mixed (this could take a minute or so). If it’s too thick, blend in additional milk 2 tablespoons at a time until desired consistency is reached. Enjoy immediately with a straw, a sunny day, and a good book. 1 For a lighter smoothie I just leave out the oatmeal; this is great for the days you want a lighter breakfast or a healthier snack/dessert later in the day. 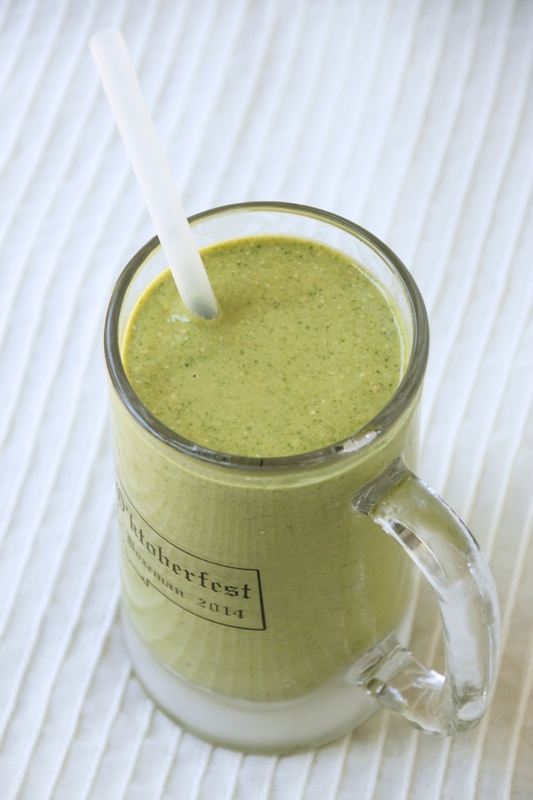 But for an entrée smoothie the oatmeal adds great flavor and makes it a lot more filling! 2 I typically slice mine into roughly eighths as they fit into my single-serving blender cup better that way. You can slice yours more or less to suit your needs. 3 I like to put a bunch in the freezer and then crush it all once it’s frozen. Then it’s really easy to measure out a cup or two for each smoothie on the fly. Back in June when I had given up bread for the month, I pinned this recipe as something to try if I was absolutely craving pancakes. 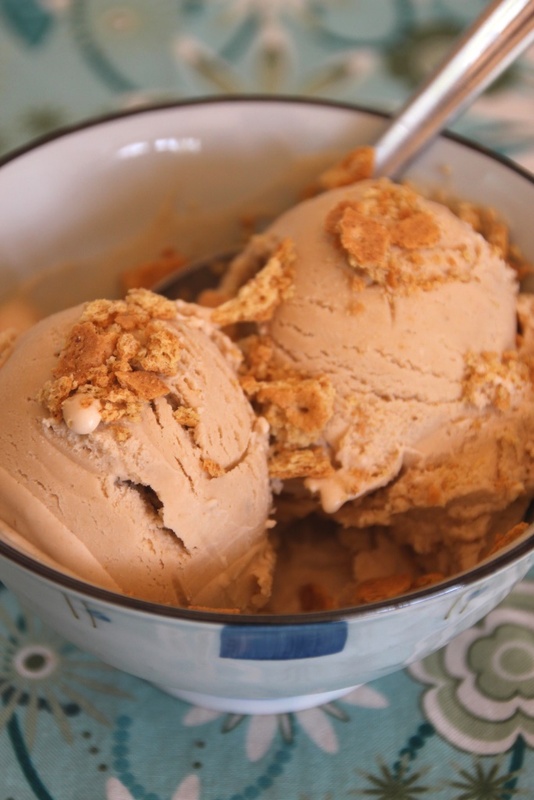 I didn’t end up trying it that month, and perhaps it will feel somewhat out of season, but after a ridiculous amount of ice cream over the last two months I was looking for something rather less decadent to share with you. Originally a vegetable dish was on the docket, but after a surprise visit from M two weekends ago, and driving to Michigan with my best friend this week, I ran out of time to give it the effort it really deserved. This seemed like a great time to try such a simple recipe and with all the hot weather we’ve been having, a few minutes in front of a griddle is way more appealing that turning on the oven for half an hour. The first time I made this recipe 100% as directed and although it was delicious, it wasn’t quite what I was hoping for. Substantially more moist and less fluffy than a normal pancake, I attempted to lighten it up a bit. I increased the dry:wet ratio with more oatmeal and nixing the applesauce, and decided to add a bit of baking powder like a regular recipe would. This definitely improved the experience for me, but it’s certainly not necessary. Very filling, no added sugar, high protein, and with a wonderful banana flavor, these pancakes are super quick and guilt-free meal – great for nights when you just need to eat something, pronto. 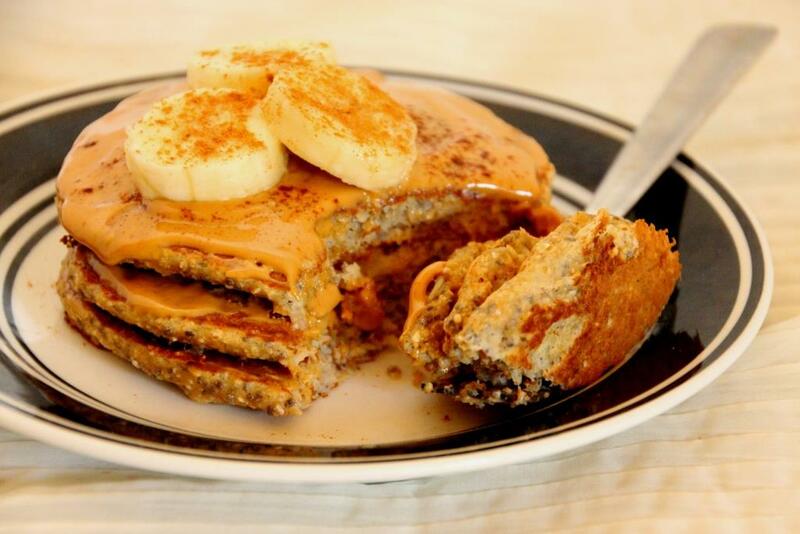 I enjoyed mine with peanut butter, banana slices, and cinnamon because that’s how I always eat pancakes (and also so I wouldn’t have half a banana left over), but they are also delightful with real maple or berry syrup if you’re looking for a sweeter treat. A few disclaimers: are these light and fluffy like normal pancakes? No. Do they stay rather more wet than your favorite recipe? Yes. Are they super delicious anyway? Absolutely. While they’re not a substitute for a true pancake experience, they are excellent in their own right. 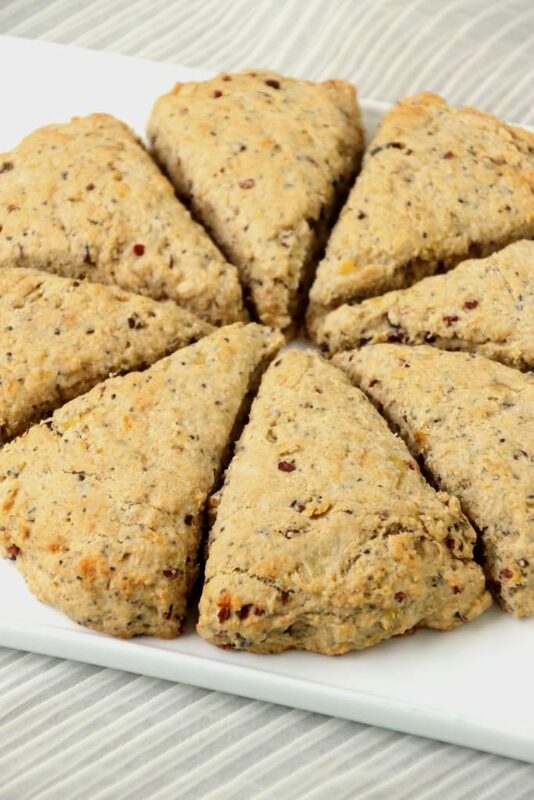 They are also gluten-free if you use uncontaminated oats, which is probably useful for some people. I added chia seeds and peanut butter powder to mine, but these items are both optional. I think chia is a great way to get a little extra protein without compromising flavor and texture, but you can absolutely reduce the amount or leave it out entirely. Same with the peanut butter powder; I bought some at Costco on a whim and have found it great to use in smoothies and quick breads, but it is also completely optional, especially if you’re going to top your pancakes with peanut butter anyway. 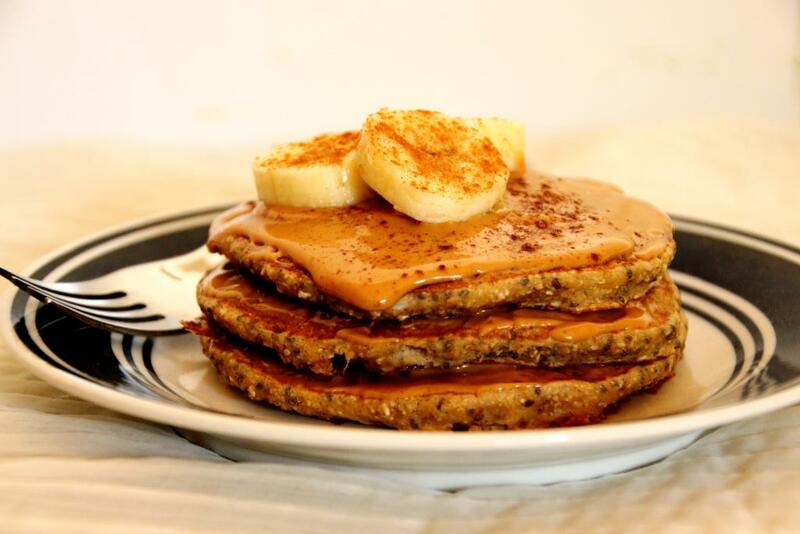 I will say that if you are ditching the peanut butter powder, you probably want to use the higher amount of oatmeal if you don’t like pretty moist pancakes. Below find the recipe for one serving. I don’t expect the batter would keep super well, so make just enough for that time. It is so fast to make there’s no need to make it ahead, I promise. The three small pancakes (with peanut butter) was perfect for me, but it’s easily scaled to feed more people. Goes great with sides of bacon, sausage, scrambled eggs, etc. For the athletes out there, I think these would be great pre-run if you have enough time, or as a fantastic post-run recovery meal, particularly with a cup of coffee to go with it. In a small bowl, mix together banana, egg, vanilla, and chia seeds. 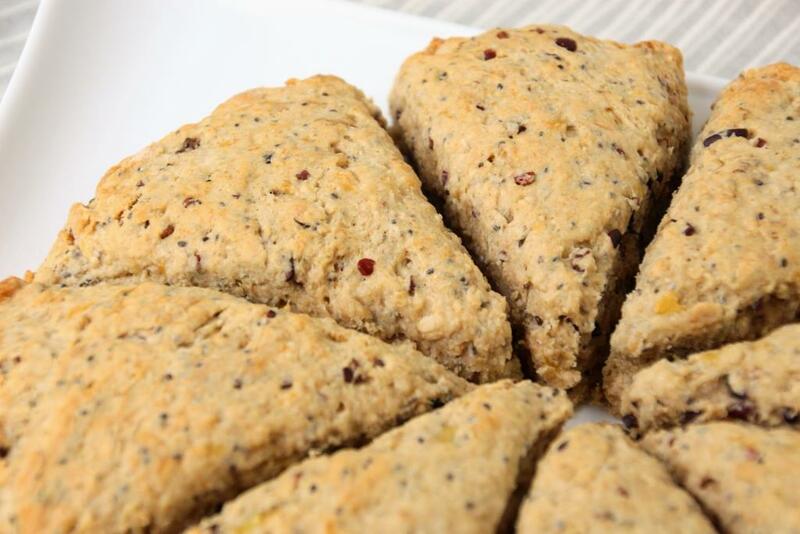 Allow to rest until chia seeds have softened, about 5 minutes. Meanwhile, heat electric griddle to 300 degrees Fahrenheit (or medium heat on a stove). Retrieve banana mixture and add oatmeal (use a blender to grind it first if you haven’t already), baking powder, cinnamon, salt, and peanut butter powder (if using), and mix until well combined. Mixture will be fairly thick. Serve immediately with remaining sliced banana, peanut butter, maple syrup, blueberry sauce, cinnamon and sugar, or your favorite toppings. For this week’s regular post we will stick with the frozen theme, but with a somewhat healthier approach. 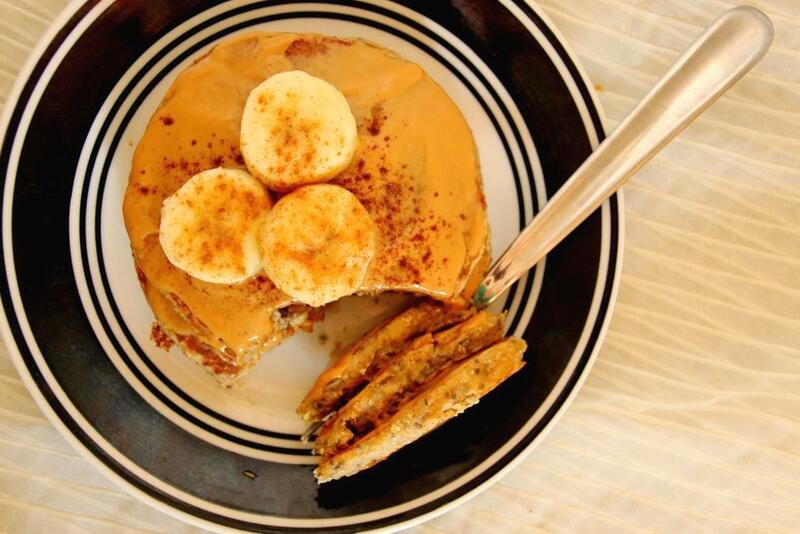 Peanut butter and banana is one of my favorite combos, which you probably have noticed from previous posts. 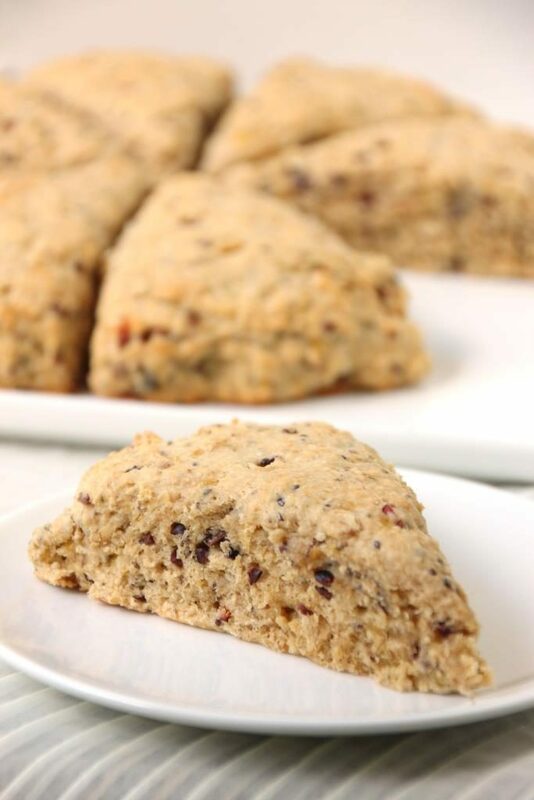 Similar to one of my favorite summer confections, these are reasonably healthy, easy to prepare, and a delightful addition to a hot day. 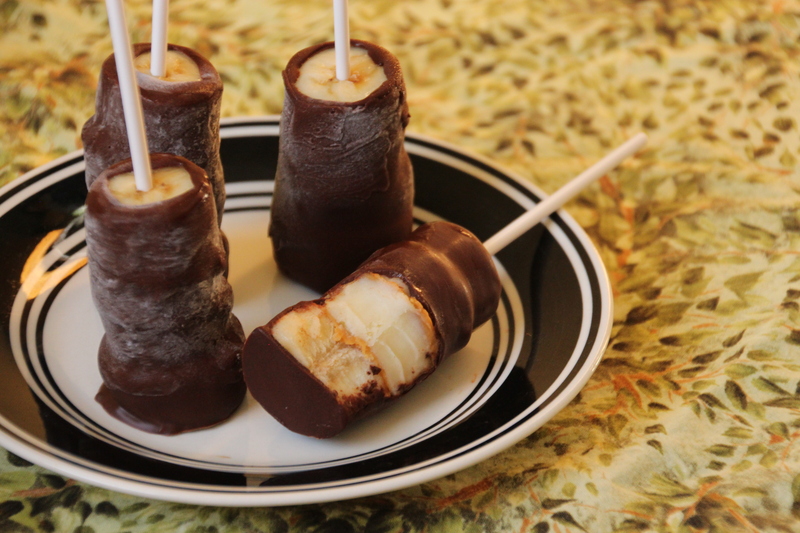 Sliced bananas spaced with peanut butter, frozen, and dipped with a thin layer of chocolate, they are sweet and satisfying without having the high sugar and calorie contents of more traditional desserts. The stick makes them great for kids and fun for adults, as well as easy to serve at potlucks and barbecues. Stored in a cooler they should be just fine for a few hours during your outside gatherings even during hot weather. As an added bonus, you can easily tailor this recipe to suit your preferences and avoid boredom. If peanut butter or chocolate isn’t your style (or you are concerned for allergies), you can easily substitute almond butter, Nutella, caramel sauce, marshmallow creme, or whatever your heart desires. Drizzle the end result with white chocolate or colored candy melts to fit in with a theme, or roll in chopped nuts for a crunchy addition. My directions make 4-6 servings depending on how high you make your stacks (and how many pieces you eat), but it’s easily scaled to make a bunch at a time. A cookie sheets works great for the initial freezing, and once the chocolate layer is completely frozen you can transfer the lot to an air-tight container or Ziploc for longer term storage. In a sealed container they’ll easily keep frozen and delicious for a few weeks, assuming you haven’t eaten them all yet. Make a quick batch of these today, then check back on Friday morning for a brand new (and adults-only) ice cream recipe. Line a plate or small cutting board with parchment paper. Set aside. Peel and slice2 bananas into approximately 1/2″ pieces, discarding (eating) rounded ends. Divide into equal stacks. In a small microwave safe container, microwave peanut butter for 30 seconds. Stir until liquid and smooth. If necessary, heat in additional 10-second intervals. 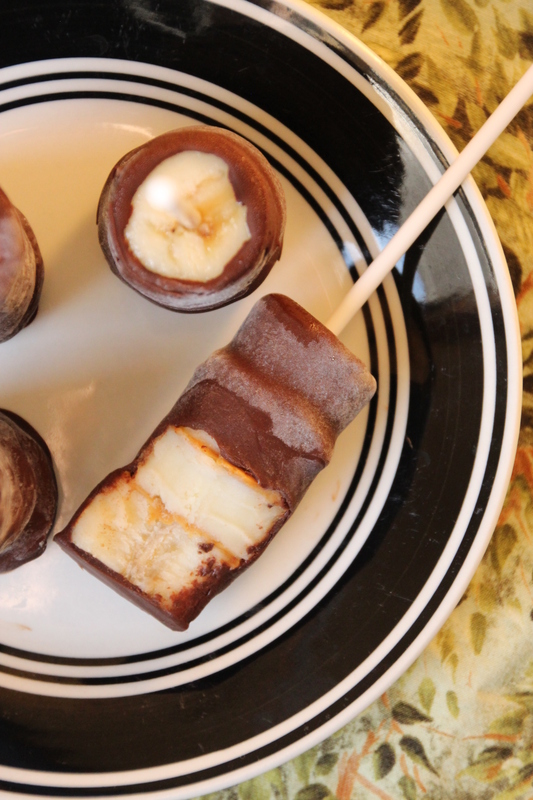 Gently slide bananas onto Popsicle sticks, dipping (or spooning) peanut butter onto each slice. End with an undipped piece, then carefully place onto parchment paper. 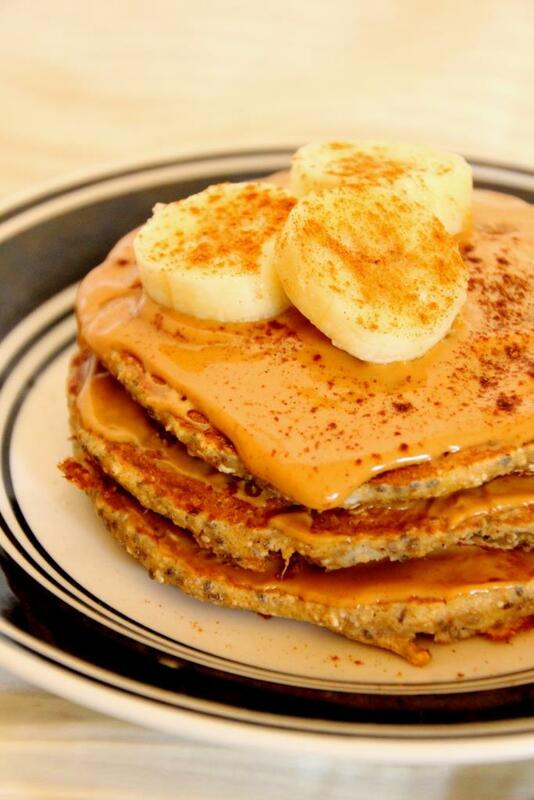 You will likely not use all the peanut butter. Freeze at least two hours. In a small microwave safe container, heat chocolate chips and coconut oil for 30 seconds. Stir until smooth and completely combined. If necessary, heat in additional 10-second intervals. For ease of dipping, pour into a tall, skinny container (like a champagne flute). 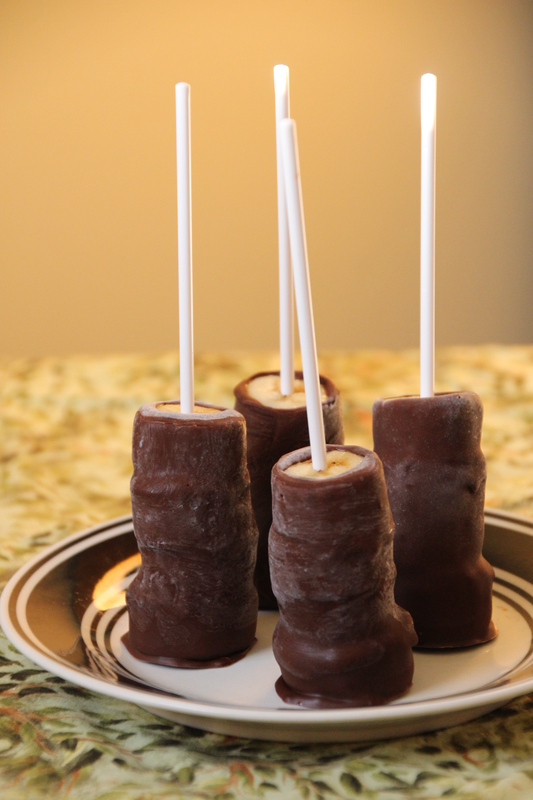 Dip each banana pop into the chocolate, swirling to cover completely. Gently return to parchment paper. Return to freezer for at least 30 minutes, or until ready to serve. 1 For a richer chocolate experience, you can double the amount of chocolate chips simply repeat steps 6-7 to produce a thicker chocolate layer. 2 Obviously you could skip slicing and just dip banana halves or thirds into peanut butter and then chocolate, but I like the stacks so they end up straighter and able to stand up on end, as well as a higher banana to peanut butter ratio. But if you want to go that route, I certainly won’t judge. Hi friends! I hope you are surviving the massive heatwaves or at least not giggling too hard at those of us struggling through them. Can you believe we are halfway through the year already? Crazy. Although I can definitely say that if this 100-degree (F) weather keeps up I will be ready for winter really soon. To start us off I thought I’d use a classic flavor: peanut butter. Well maybe you think peanut butter isn’t classic, but it’s a very common flavor in my house and I’d eat it probably five times per day if I didn’t specifically try not to. Whoops. Last year I posted peanut butter fudge ripple and this year I’m bringing you peanut butter banana. When I was on exchange in Scotland (several years ago now, boy time flies) I discovered a place called the Marble Slab Creamery. Much like Coldstone here in the states, they add your mix-ins right in front of you and then hand over a perfectly balanced treat made directly to your specifications. I’m sure they had like ten thousand calories per cup but I went there several times during my stay when I needed a pick-me-up or I was celebrating or I happened to be near the mall. My favorite combination was peanut butter banana with Graham cracker and I probably ordered one at least half of the times I went. Sprinkled with crushed Graham crackers, this recipe beautifully recreates that memory in a delicious treat I can make from 4000 miles away. 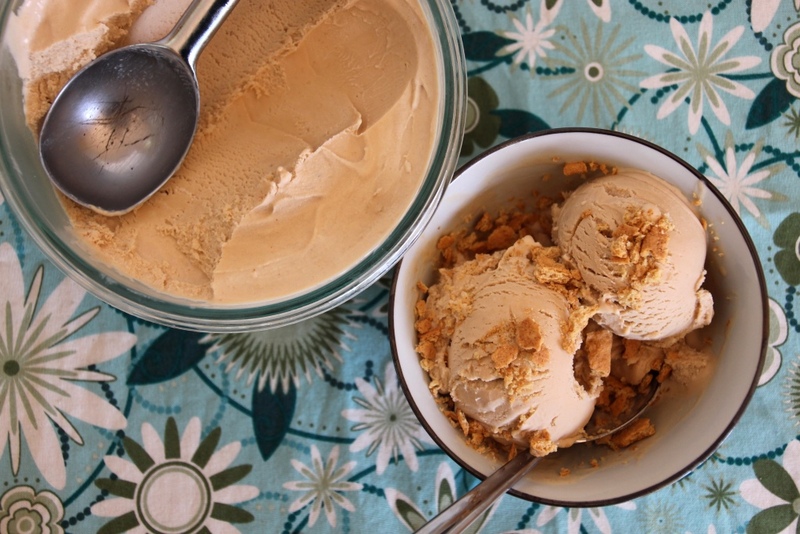 Smooth and peanut buttery with the lovely addition of banana, this ice cream tastes like summer to me. It’s a fabulous combination you have probably noticed crops up in a ton of my recipes and I doubt I’ll ever get bored with it. If you think no dessert is complete without chocolate, it would also be great with that fudge ripple from last year or topped with some mini chocolate chips. Hope you enjoy the kickoff recipe and be sure to check back next week for a less traditional flavor. Mix all ingredients in a blender until smooth and completely combined; mixture will be somewhat thick. Cover bowl and chill in the refrigerator at least 4 hours, or overnight. 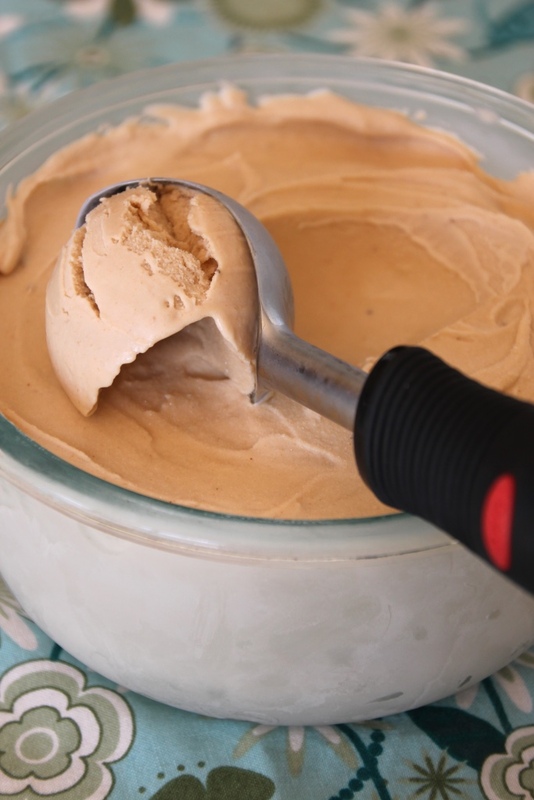 Freeze according to your ice cream maker’s directions, then place in a freezer-safe bowl to freeze for an additional three hours, or overnight. 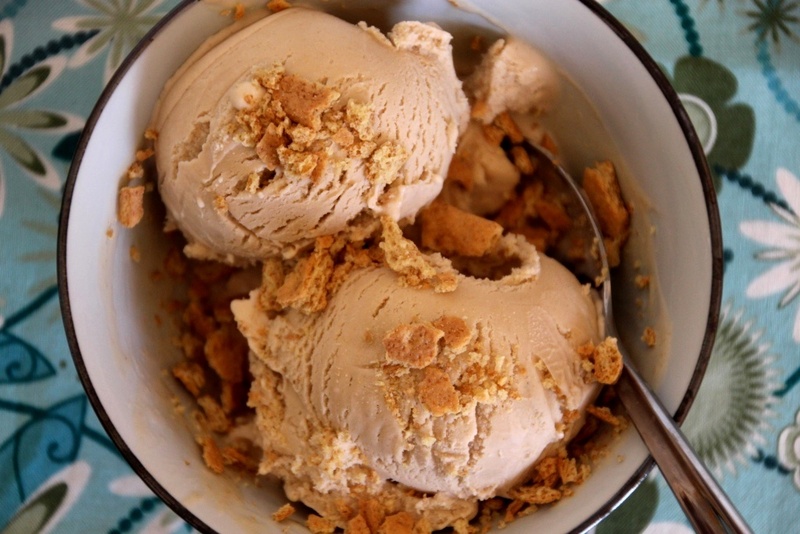 Serve topped with crushed Graham crackers and/or your choice of toppings. 1 You could use chunky if you want, although likely the texture will still be pretty smooth after blending. 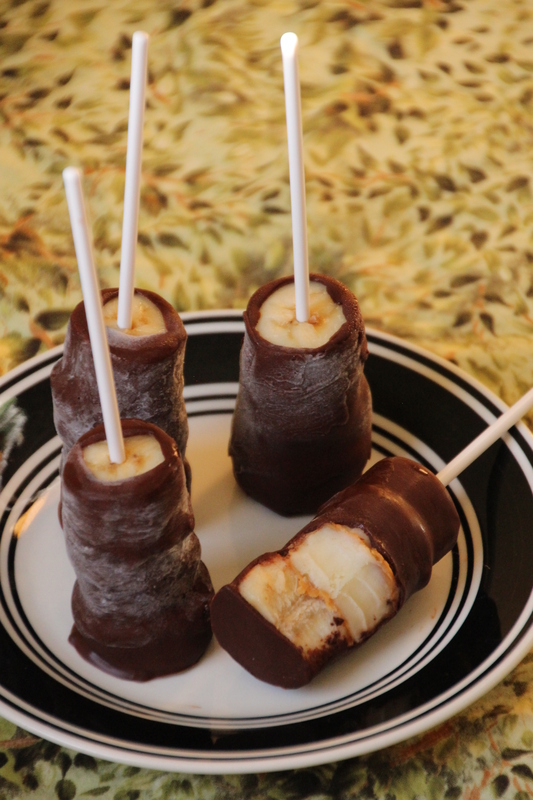 2 For best flavor, bananas should be very ripe or slightly override. I like to use three so the banana flavor is more pronounced, but if you’re more a peanut butter person use fewer of them.